Joey Shrader is seventeen years old and a senior at Adams. This is his first year as a reporter for The Tower. 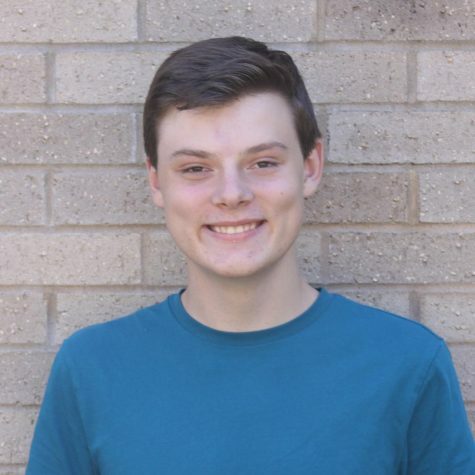 He is very excited to be a part of The Tower this year and cannot wait to offer his skills to the newspaper, especially in the form of writing a variety of different articles. One of his favorite subjects in school has always been English, and he has always loved writing, especially articles and non-fiction pieces, leading to his decision to join the newspaper. In addition to being a reporter for The Tower, he is a member of the swim team and the marching band, as well as a representative for the senior class student government. He believes that all of my past experiences at Adams will help him write a diverse variety of articles that will be featured in The Tower. In the word of Claire Hargis, “The Tower celebrates John Adams and South Bend as a community, making it something extremely special to be a part of, and I am very proud to say that I contribute to its creation,” and Joey couldn't agree more.